both a Microsoft Network Engineer and a Microsoft Database Administrator. Justin was recruited from Chapman University by MetLife Investors, a wholly-owned subsidiary of MetLife Insurance, to build banking software to manage their variable annuity investment portfolio. In the first year of implementation over $14B in transactions flawlessly moved through the system he designed. Justin was quickly promoted to Lead Systems Analyst. Justin then went on to attend St. Mary’s School of law where he received his Juris Doctorate as well as his Master of Science in Industrial Engineering. While studying for the patent bar in Oregon, Justin met his former partners and started Orchestra Software. During his time at Orchestra, Justin acted as the Chief Technology Officer and guided strategic development of the company. During his time at Orchestra, Justin’s efforts lead to a four-fold increase in production and efficiency. The solution Justin developed for the Craft Beer industry is responsible for processing over 15% of all the Craft Beer brewed in the United States, with clients such as Firestone Walker, Odell, and Full Sail. Backed with decades of experience dealing with complex taxation, industrial and business processes, and government regulations. Justin is confident that Viridian Sciences will lead the way with the best business management software available for the Medical, Recreational, and Industrial cannabis industries. The Viridian Sciences story continues to grow. In January 2017, Viridian Sciences was acquired by Navigator Business Solution, delivering decades of software development expertise and a leading customer care and implementation staff behind the growing Viridian Sciences software solution. In the fourth quarter of 2017 Viridian Sciences announced another industry leading offering with the introduction of its Starter Pack software solution starting at $1,195 allowing cannabis companies of any size to have simple access to leading Seed-To-Sale software. Grant Fraser, CEO of Viridian Sciences, a Navigator company, knows the ERP business. With more than 25 years of consulting, sales, and industry experience, Grant has the knowledge and expertise to guide Viridian Sciences as the leading Cannabis seed-to-sale software solution built on world-class financial functionality. 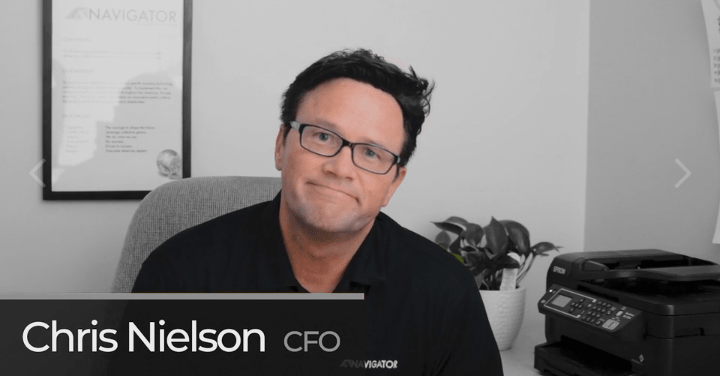 Chris Nielsen has over 20 years of hands-on experience as head of finance, operations, and technology for various divisions of global corporations. Chris has lead the implementation of ERP, and other key IT, systems in several countries and understands the critical impact of these projects and decisions. Chris received his Bachelors of Science degree from the University of Utah and holds an MBA from Westminster College with the final year, and course work, completed at the University of Chicago. Viridian Sciences is the right software platform for your Cannabusiness. With your investment in the Viridian Sciences software solution, it is understood and expected that you will have questions outside of the pre & post go-live phases of your implementation. With our goal to provide the best customer care and support in the industry, Viridian Sciences is pleased to offer enhanced Customer Care & Support focused on delivering world-class customer support & training. Our implementation consultants have implemented the ERP platforms all around the world for industries both big and small. Our consultants have dealt with some of the most complex business cases within the beverage, chemical processing, and nutraceutical product development industries and have always been able to provide the most effective solution in the simplest of ways.